In an embarrassing admission for the Lebanese party, it emerged today that a satellite navigation error was responsible for Hezbollah’s men fighting in the wrong part of Syria. The Party of God’s fighters were on their way to participate in The Campaign To Defend The Shrine of Sayyidah Zaynab located just outside Damascus, but ended up by mistake in the town of al-Qusayr near the northern border between Syria and Lebanon, some 100 miles away from their intended destination. 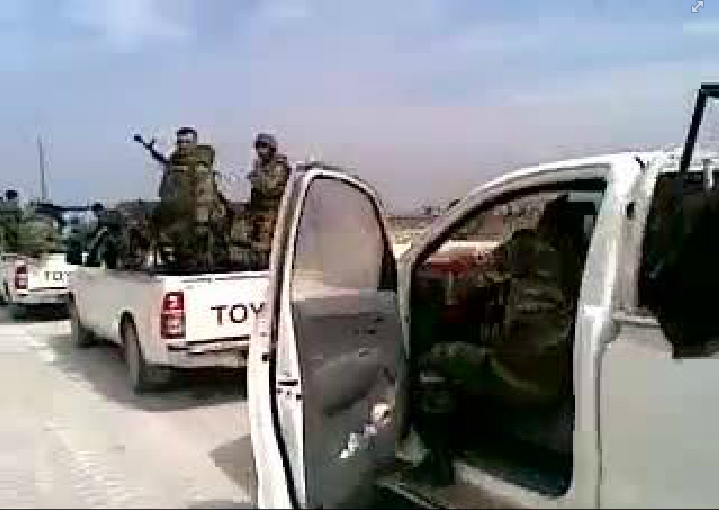 The town has been the scene of intense fighting between Syrian rebels and government troops for several days, and the arrival of hundreds of heavily-armed Hezbollah fighters was somehow misinterpreted by the rebels as a sign of aggression so they opened fire on the convoy and the Lebanese fighters had no option but to retaliate. The situation quickly escalated and Hezbollah’s fighters were drawn into the battle. Judging by the continuous supplies they are receiving however, it seems that their satellite navigation devices are still making the same mistake. It is understood that Hezbollah is now considering suing the manufacturer of the satellite navigation device, a move that has been roundly supported by all parties involved.